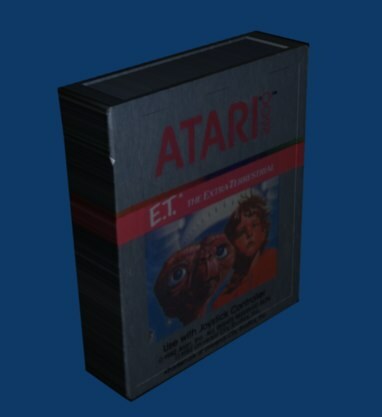 For day 3 of the 4-in-4, I made a Blender model of an Atari cartridge, specifically, “ET: The Extra-Terrestrial” from 1983. This model is the first step on a large project I’m undertaking: a diorama depicting a hoard of millions of ET cartridges buried in a dump outside of Alamogordo, NM. The result was millions of unsold cartridges that the company had no way to dispose of. 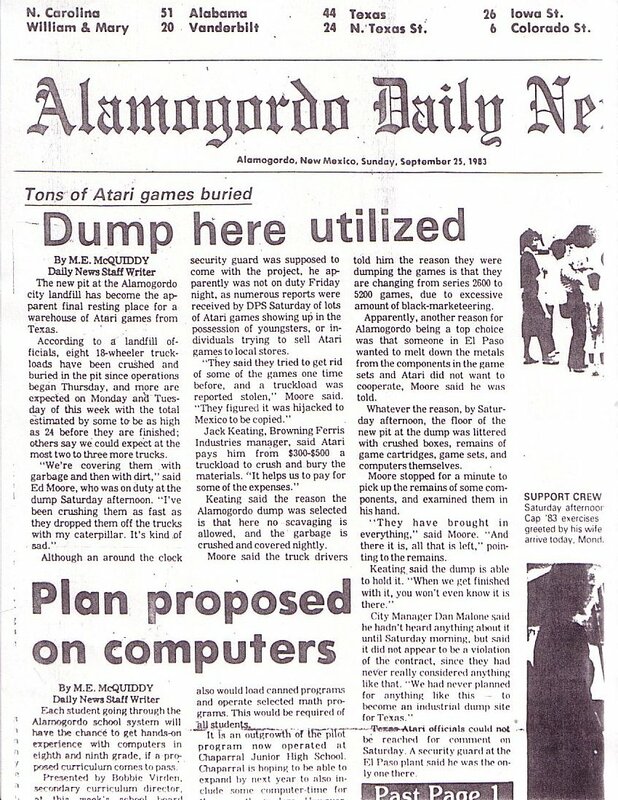 Eventually, the hit on the solution of burying the cartridges in a dump outside of Alamogordo, New Mexico. I first heard of the dumping from Nick Montfort’s excellent history of the Atari 2600 Racing the Beam. For more on the topic, see the Wikipedia and Snopes articles on the topic. 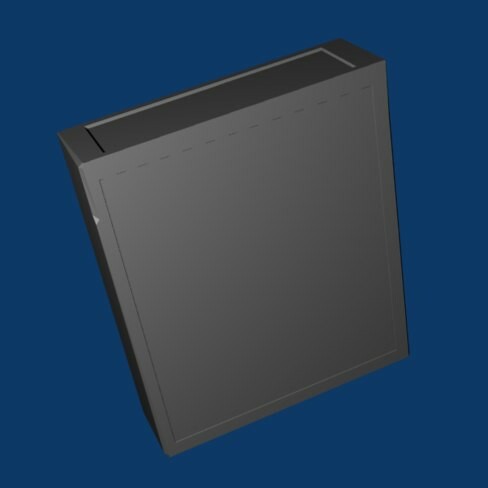 This 3D modeling project is the first step towards building a diorama depicting the full dump with millions of cartridges, the concrete slab that covers it, and the New Mexico dessert and sunset above. I used these high resolution scans and some other research to figure out the dimensions of the cartridge and set about building a basic rectangular solid that matched these dimensions. Writing down this process in a few simple sentences makes it sound linear and straightforward. It was actually difficult and somewhat challenging. Without Scott’s help, the entire endeavor would have taken significantly longer. 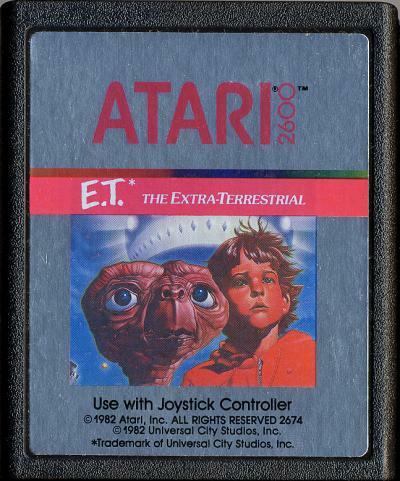 The end cap should have the ET logo image on it — which isn’t working for some reason I don’t understand — but otherwise this is really starting to be what I was aiming for. I even added an additional gnarled black texture to emulate the molded plastic of the non-sticker part of the cartridge. 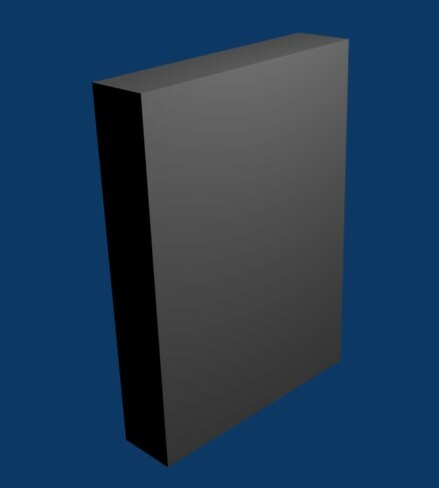 I’ll probably include that texture in the final print, but I’m not showing it here because it made it very hard to see the details of my 3D modeling in Blender’s preview images. There are two next steps forward for me on this project. One of them is to get a 3D print made of this cartridge, mainly to gain experience with 3D printing. The second step is to make a model of the ET box and start combining multiples of that box and this cartridge into the limitless pile that sits under the Alamogordo sand. I am very concerned that by creating this you will initiate an earthquake that will plunge us into the 4th dimension. I’d say there’s a 50-50 chance of that happening. Those are large odds my friend. 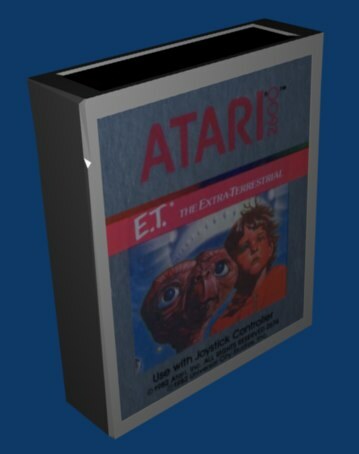 © NYU ITP 4-in-4 » Atari ET Cartridge 3D Model: my first Blender project 2010, All Rights Reserved.